Mac Hornecker was best known for sculptures of environmental scale built from a variety of materials. He designed for a particular site, which determines scale and material. Images within his work deal with land and man-made forms. He was interested in the topography, rocks, trees, architecture, and anything interesting about the environment of the site. 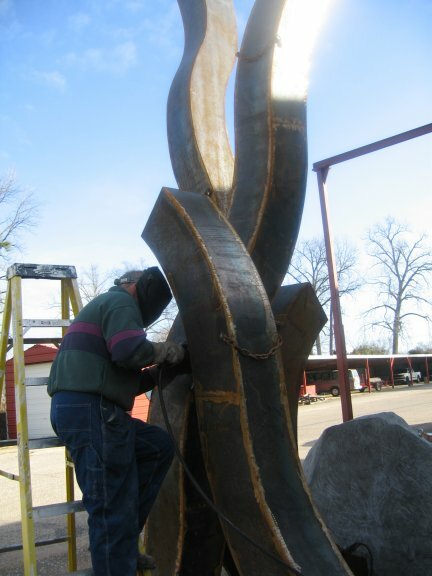 From the sculpture page you will see Mr. Hornecker mainly worked in the three mediums of welded steel, ferroconcrete, and wood. The welded steel and welded steel / ferro-concrete sculptures are usually of environmental scale and are exterior and interior. The wood works which can be small but also be quite large, are designed for interior spaces. Mac was known for enjoying the whole process of personally welding, casting, and installing his pieces as well as he enjoyed the idea and the creative thought process. Mac Hornecker's work was represented in over 30 public collections. He had over twenty-five solo shows, been in over twenty-five invitational shows, and over thirty competitive shows. Mr. Hornecker has a BFA in sculpture from the Kansas City Art Institute, and a MFA in sculpture from the University of Oklahoma. 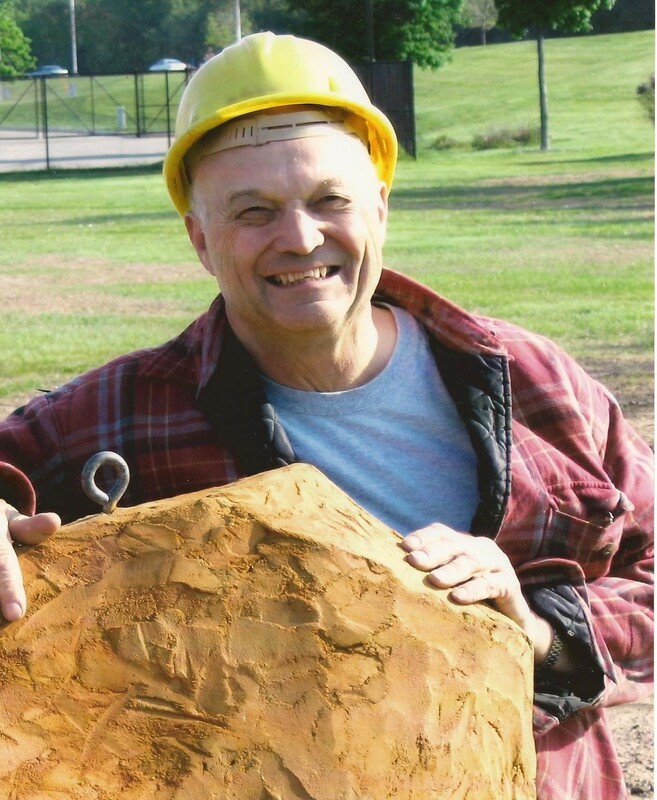 Mr. Hornecker was a professor of sculpture for 40 years and has served as guest artist and conducted workshops at many colleges, universities, and art centers.